This is another example of Look Inside! 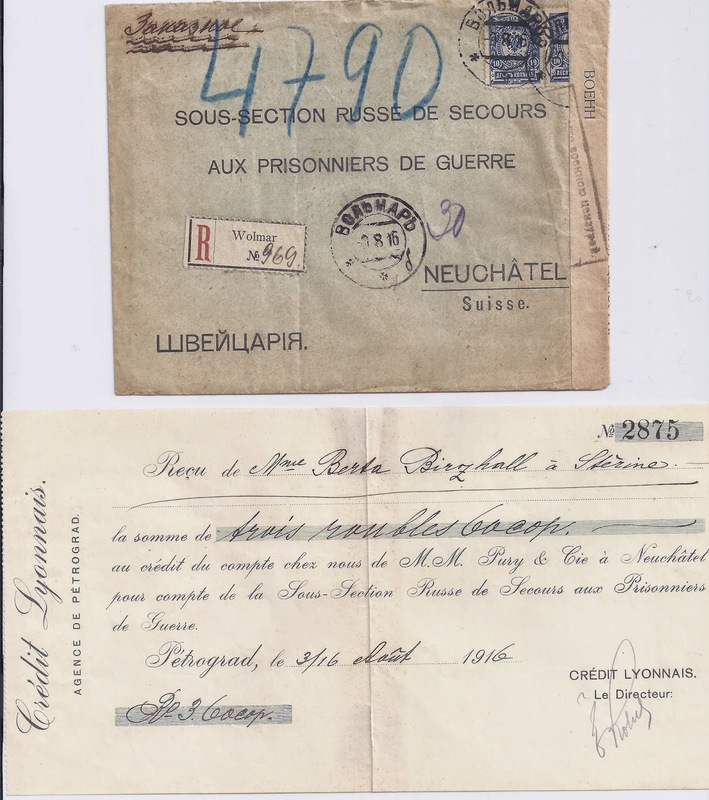 For Russia, First World War Prisoner of War - related correspondence is very common: cards from prisoners,to prisoners, to international organisations involved with prisoners of war. It's possible to build enormous collections at very little cost. The item illustrated below is relatively unusual. The 1916 Registered letter from WOLMAR [Valmeira] is addressed to the Russian sub-section of an organisation offering help to prisoners of war, based in Neuchâtel. It contains first of all a printed receipt for 3 roubles 60 kop which Madame Birzhall has transferred to the Sub-Section through Crédit Lyonnais in Petrograd. The printed form suggests that many such transfers were being made. 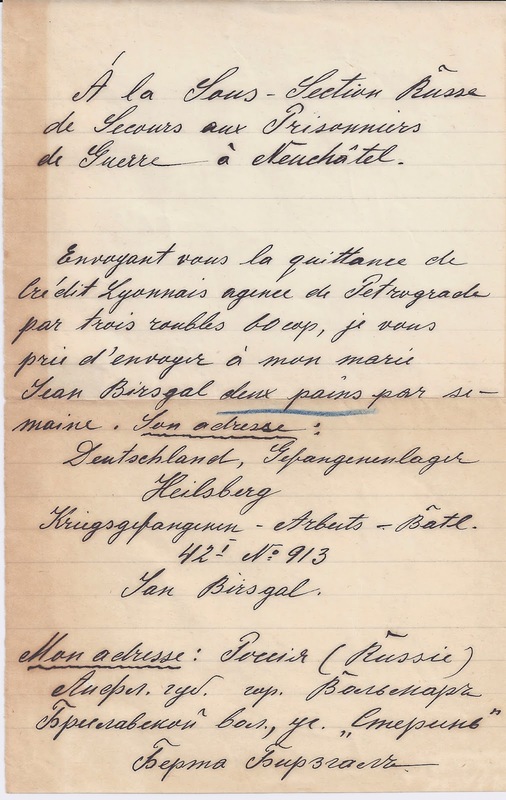 The letter accompanying the receipt,and also written in French, gives the name and address of the Prisoner of War (Jan Birsgal in the Prisoner Camp Heilsberg, Germany) and asks that bread be sent to him twice a week ("je vous prie d'envoyer à mon marie [sic] Jean Birsgal deux pains par semaine". The phrase "deux pains" has been underlined in blue crayon, no doubt in the offices of the sub-section. It is an entirely reasonable inference that Jan Birsgal is an Officer whose wife is able to write in French and access the appropriate part of Russia's banking system.